With some new NPS tanks being set up (on here and other forums) I wanted to document the 2 methods of feeding that I think work best. This is self explanatory - just spend money, plug in and enjoy! But I have also started using a kalk reactor to dose my own variation of Danny Dame's recipe. So this method is nothing new but here is a step by step on how easy it is to make it work. 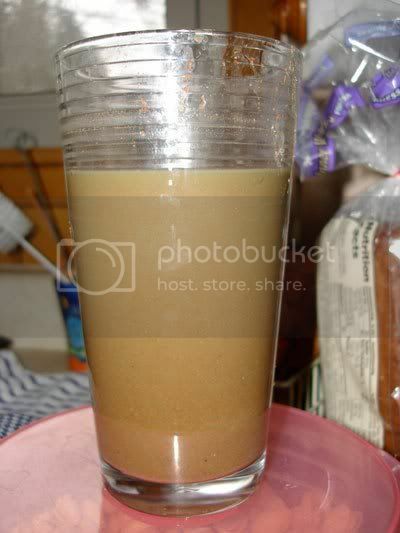 First, you blend up a mixture of the foods (see the link above). In my recipe, I also use squid juice and oyster juice as a "smelling sauce" for the corals. I use more RO/DI water as I want this to be very dilute. Also, I use very little Ultra Pac as this has been replaced by Ultra Min D. I still use it because I have 2 bottles left and don't want to waste it. I let the mixing pump run continuously. The food contains only very fine granules and it is very dilute so it doesn't cause any clogging of the pump... however I plan to clean out everything regularly. 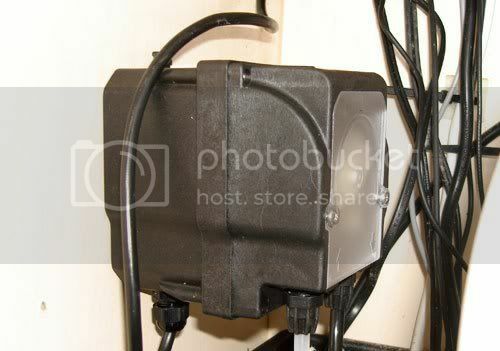 I use a 50 ml/min dosing pump to feed the reactor tank water. The reactor holds ~3 gal., so I set the pump to turn on for 10 min. every hour. This allows the volume of the reactor to be pumped out every 24 hrs, taking most of the food with it. 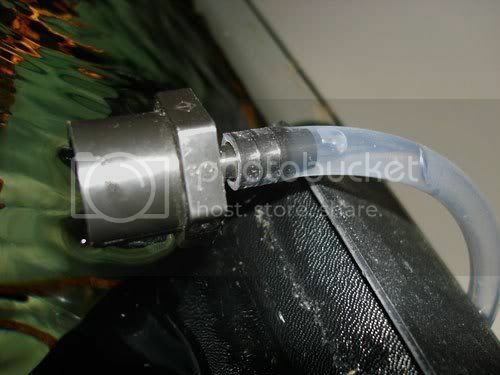 Again, this is not 100% efficient and the reactor and its components must be cleaned regularly. I will say that the GEO kalk reactor is perfect for this. 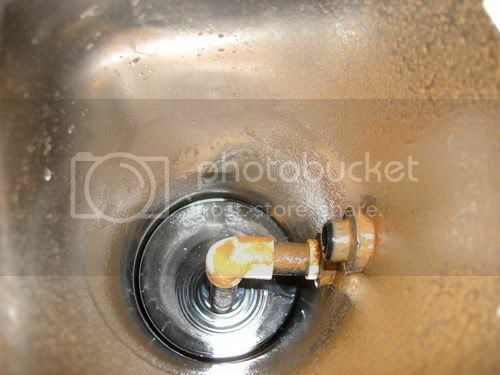 It has a drain at the bottom, and the pump is attached in a way that it is very easily removed for cleaning. So far I am very happy with this method of feeding. It takes away another big chore, and allows me to feed a much larger variety of foods. I can even defrost some cyclopleeze and inject it into the reactor. I am hoping that between the syringe pump and kalk reactor I am able to provide my NPS corals the nutrition they need to thrive and grow! Excellent write up uhuru thanks for sharing that. I was always interested in trying these methods on my own system. Instead of feeding manually throughout the day all the time. It gets to be quite a chore. What model syringe pump are you using if I may ask? 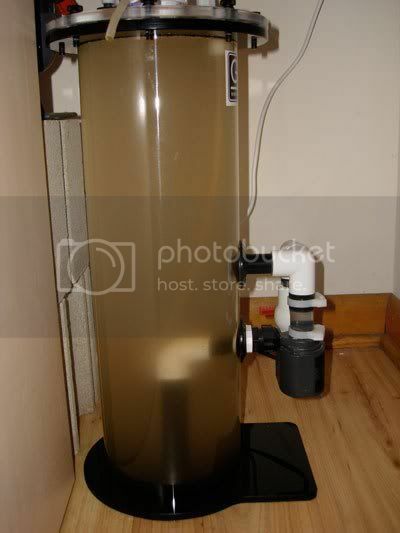 Is the pump inside a small refridgerator? If you had to choose between the two methods (if you couldn't use them both) which one would you say does a better job at feeding your system....the syringe pump or the kalk reactor doser? Thanks. Does Roti-feast stay evenly suspended for you to use it with the syringe pump? I've used other rotifer products and they've settle too fast for me to use it with the syringe pump. I'm considering ditching the syringe pump entirely in favor of a kalk reactor. Also, is your food list pretty much the same as Danny Dame's list, or have you added on/substituted other products? * Rotifers - not sure yet, maybe live culture? 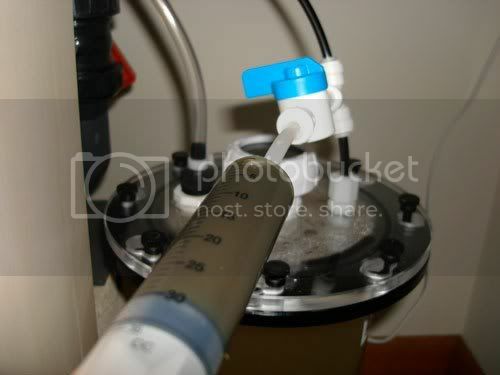 I am using the base model syringe pump from syringepump.com. You can adjust the dosage on the fly, and it is a high quality unit. I like it a lot. 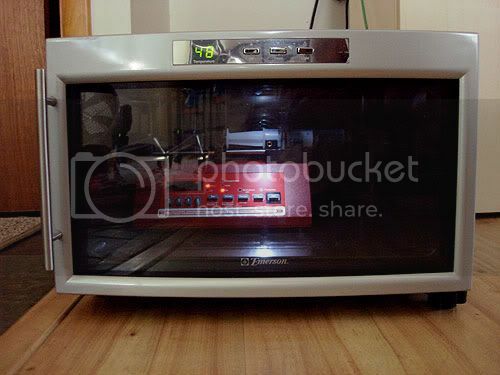 It sits in a thermoelectric cooler, which takes the temp down to 45F, so not as cold as a fridge but since I change out the syringe every 12-24 hrs. no big deal. If I had more room I might go with a fridge, but it sits in my closet next to the tank. It's too early to say which method is best. I have been using the syringe pump for several months now, but just started with the reactor. For sure, you have more options with the kalk reactor. The entire FM line, blended frozen foods, whatever! You can dose anything. However, it's also more work in terms of maintenance. With the syringe pump the only thing that gets dirty is the syringe! All I can say is between these two methods my corals look pretty damn happy. I'll snap some pics between now and Christmas or new years. I have not had a problem with Roti-feast. It is suspended in some type of gel. Maybe Gresham can chime in if he reads this. I have had problems with other liquid suspensions. Only Shellfish Diet, Roti-Feast seem to stay relatively consistent, at least long enough to dose a days worth of food. I use everything in DD's recipe except algae paste, Ultra Min S, sponge power and DT's oyster eggs. Oyster Feast is a superior oyster product, but I don't add this to the mix, I still dose it manually before I feed the LPS corals and watch them go crazy. I also add frozen rotifers, squid & oyster juice, Rod's Food Coral Blend, Prodibio Reefbooster, Elos SVC Zooplankton. Thanks for tthe write up uhuru! 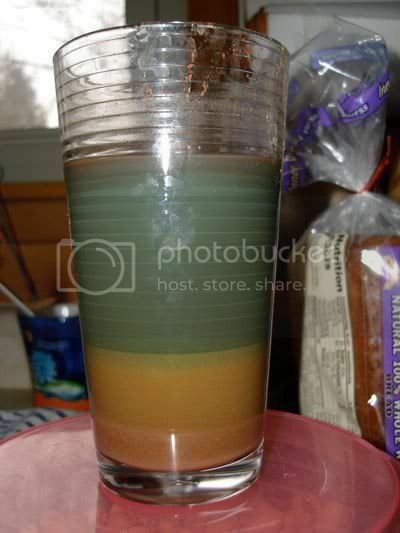 As you can see the problem is that gravity makes the mixture separate. If you were to use a syringe pump for this, the dose rate would have to be pretty fast or you would get a very inconsistent mixture, especially if the syringe pump is pushing the food vertically upwards. Why is this mixing critical - is it easier for the coral to feed when its all mixed? Not having a go, just trying to understand. If the mixture separates you might be feeding nothing but water in the beginning and then a very condensed mixture of food at the very end. This could equate to actual feeding time of only a small portion of the day. Also, there is more chance of clogging (one reason why peristaltic dosing pumps don't work for these mixtures). The kalk reactor has been working VERY WELL. Maybe too well! I injected frozen cyclopleeze into it, and it makes its way into the tank no problem. I will have to dilute my mixture even more next time. Last edited by uhuru; 12/21/2009 at 12:30 AM. Thanks, makes perfect sense now! This looks like a great idea. I am going to convert my phyto reactor (previously a sulphur reactor) to a dosing unit. Thanks for the write up. The first mixture I made was way too dense. You want the food in the reactor to be extremely dilute. And, you want to circulate water through your reactor as much as possible. A continuous duty peristaltic pump would actually be ideal here. Use a very dilute mixture and inject fresh food into the reactor every 12 hrs. This prevents food in the reactor from spoiling too much, and increases the amount of time you can go before you have to clean out the reactor. Thanks for the info uhuru...please keep us posted on your progress. I look forward to seeing your pictures! Question, is the feed to the reactor coming from the tank. 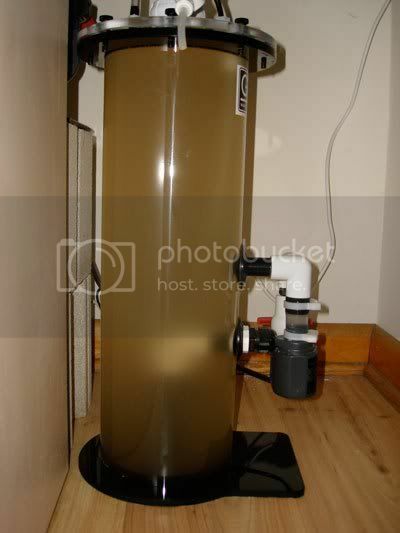 I was thinking that maybe you have it hooked up to a topoff device if your tank is large enough with alot of evaporation. I am going to set up a reactor like yours this week and use the food and proportion that Chuck Stottlemire used. 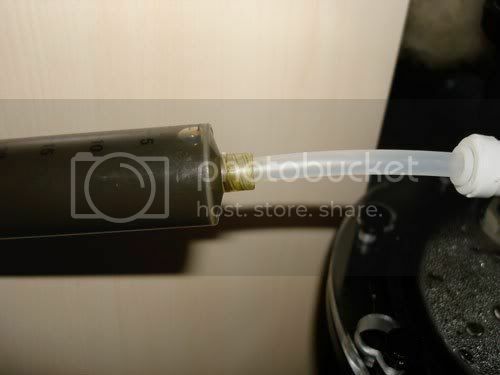 Because it was a sulphur reactor it actually has an extra valve on top (for air release) where I can inject the food. What tempertaure do you keep your tank at Uhuru? Thanks Austin! I thought you would like the avatar. 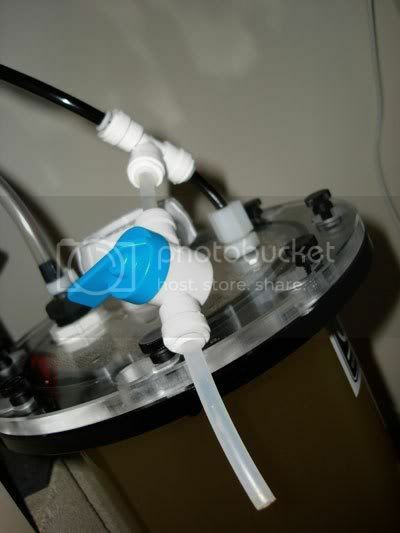 ari - yes, the feed is coming from the tank (sump). I don't see any reason to use it with an ATO, this would be less consistent than if you just used a timer or let it run continuously. If you just want to dose Shellfish Diet or Roti-Feast I think the syringe pump works best. I run my tank between 72-74F. Do you have any problems with food spoilage? What makes kalk reactor better for other types of food (cyclops, etc)? That "Monster in the Dark" is quite a beauty! Awesome pic uhuru...keep up the good work! The first try I did because I injected too much food into the reactor and it took too long to clear it out. I don't think the corals mind some food spoilage actually, but it was too stinky for me. 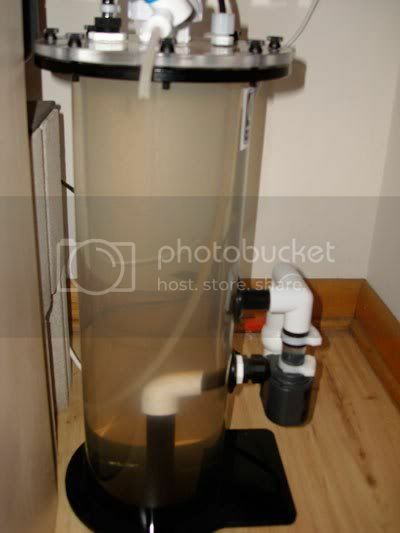 because you have a mixing pump that keeps everything suspended in the water... if you ever tried to mix together the FM dendro line products you'll see a definite separation if you just let it sit for a while. Just tagging along. Thanks for the great information. 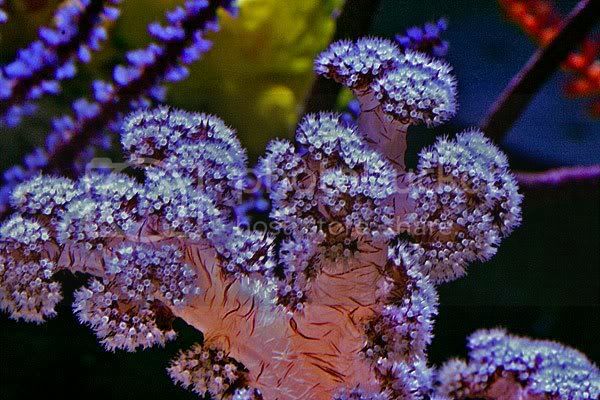 Do you have any other links/articles on NPS corals/tanks? I've been out of reefkeeping for a couple of years (college was a disaster for this hobby), but I'm planning a comeback after I complete an internship in March. I wanted to do something unique (essentially avoid sps). Your nano-tank is an inspiration! I want to see if I can go longer before having to clean out the reactor. Right now I can only go about 1 wk before it starts to smell really bad. It only takes about 5 min. to clean but I'm more concerned with dosing too much rotten food into the tank.